A small fractional HP pump stopped working in a customers little garden pond (she creates a 12 inch waterfall with it). The braided line from a duck decoy had been sucked into the intake(no filter)and wrapped around the impeller shaft and stopped the submerged motor cold for a couple days. I took the cover off, removed the string, and reassembled it and it works fine. What prevents this motor from overheating and shorting the windings? My guess is liquid cooling and a fairly modest current draw in the first place. Is it "shaded pole"? They are pretty resilient in LR but you pay for it with virtually no starting torque. Definitely a problem with the liquid cooling. 99% of those little pond pumps are cheap little shaded pole motors. They are "impedance limited" in terms of protection, meaning they don't need a fuse or breaker because they are inherently current limiting at their own rated current. So stopping the rotor is, to the motor, no different than running at full load, other than the fact that instead of moving water, it just heats it. It is not fully impossible for a shaded pole Motor to overheat, it depends on the size and design. See link. Maybe, because the water pump manufacturer did a little thinking, they designed their motor expecting it to get stuck by obstacles once in a while. Interesting stuff Andey. I knew that those shaded pole motors could overheat, and burn out the windings even, but I hadn't seen them as such a fire risk. I would hope that the rising current as sections of winding shorted would blow a fuse or trip a breaker in most cases, but it certainly justifies the thermal fuses we often see now. 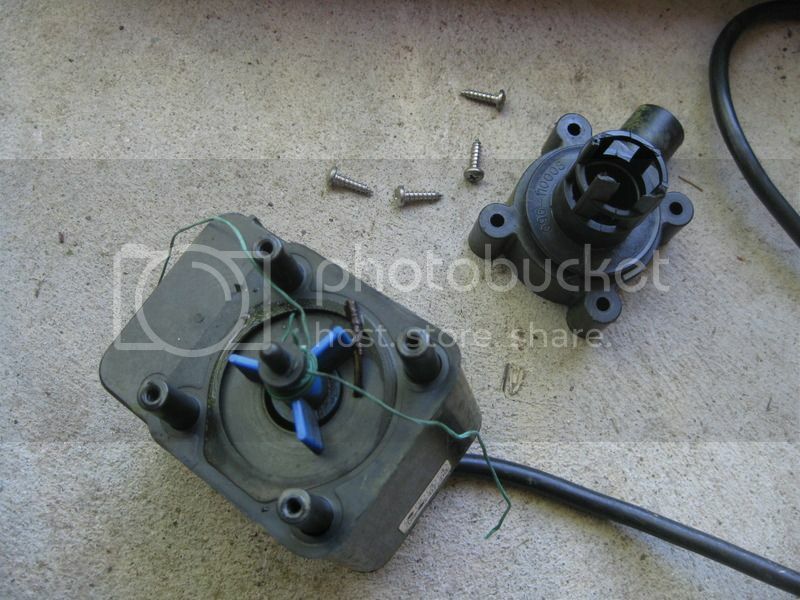 Regarding pond pumps, I've messed around with those and found that you can even pull the rotor in and out whilst it's energised with no discernable effect on the stator temperature. I agree with jraef that the winding impedance limits the current to a harmless level. Not sure how old the fans were that he investigated, but i remember that thermal fuse wire being added back in the late 70s when I worked for a Nutone distributor. That issue was somewhat unique to SP motors used on vent fans, because it was implied that the fans would be moving air across them and keep them cool. Before adding the fuse link, the thought was that if you turned on a vent fan and it didn't vent the air, you investigated and fixed it. but people kept ignoring them and some caught on fire, so UL added the requirement for the fuse link, maybe around 1978? That issue would not likely happen in a pond pump surrounded by water. I had mine stop pumping and found out that my wife turned it on and left it on, for maybe 3 weeks before remembering to tell me about it. It just had a little stick in the impeller, I removed it and it started pumping again.